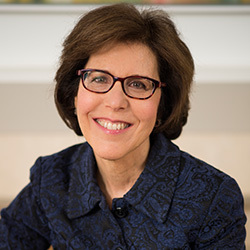 Judith S. Beck, Ph.D., is the President of the Beck Institute for Cognitive Behavior Therapy, a non-profit organization in suburban Philadelphia, which she co-founded with Aaron T. Beck, M.D., in 1994. Through the Institute, she has trained thousands of health and mental health professionals, nationally and internationally. Her online courses have been taken by mental health students and professionals in over 100 countries. Dr. Beck is also Clinical Professor of Psychology in Psychiatry at the University of Pennsylvania. Currently, she divides her time among teaching and supervision, administration, clinical work, program development, research, and writing.